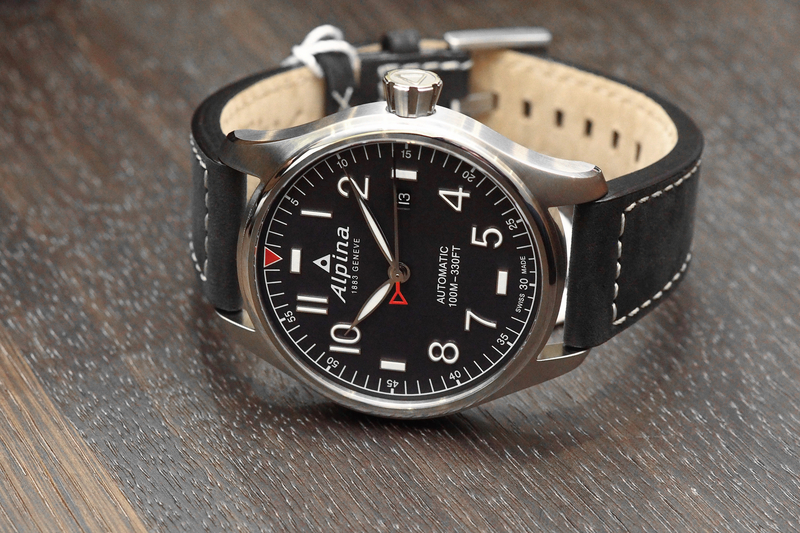 Introducing the Alpina Startimer Pilot Automatic "Sunstar"
With Baselworld 2014 just around the corner, watch brands are previewing some of their new timepieces. 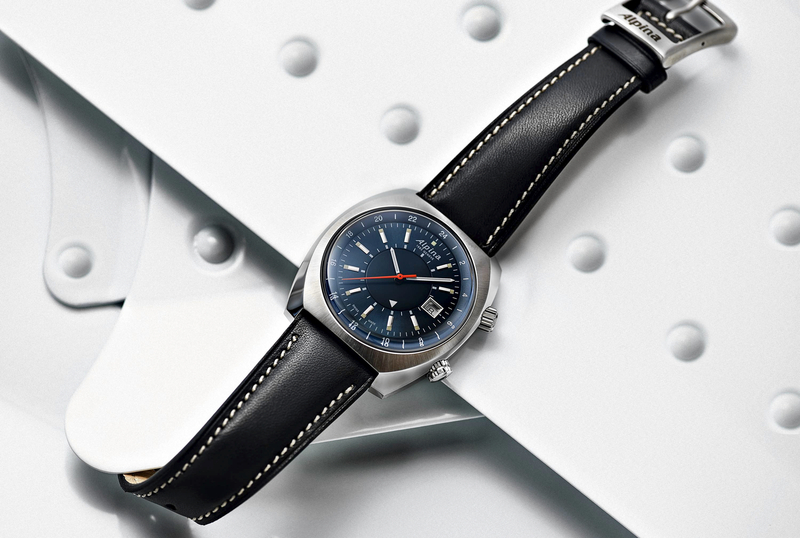 Today, Swiss watchmaker Alpina has released images and details on a new addition to the Alpina Startimer Pilot Automatic collection called the Sunstar which is a reference to its gray “sunray” dial finishing. The new Startimer has applied numerals, a triangle marker at 12 o’clock, and stick markers at 3, 6 and 9 o’clock. The hour markers and hour and minute hands are oversized and feature a generous amount of luminous material, making the dial easy to read in all lighting conditions. 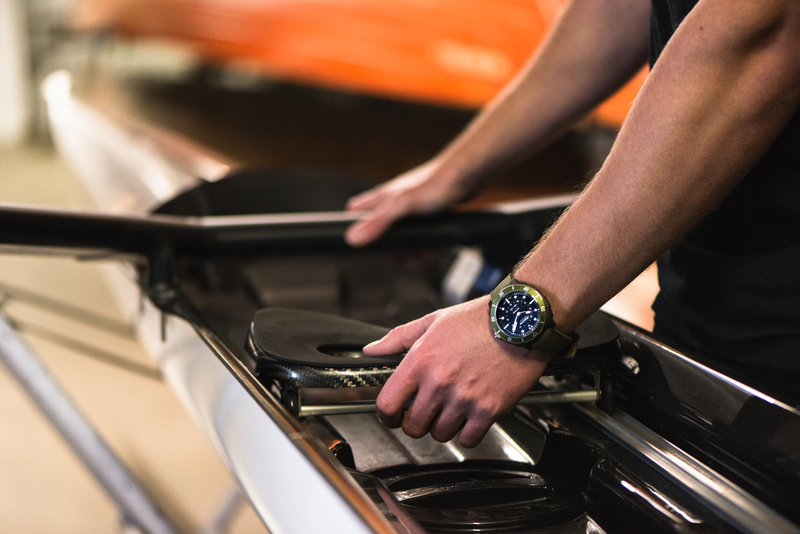 The satin-finished stainless steel case measures 44 mm in diameter by 10.2 mm thick. Functions include hours, minutes, central seconds and date (at 3 o’clock). 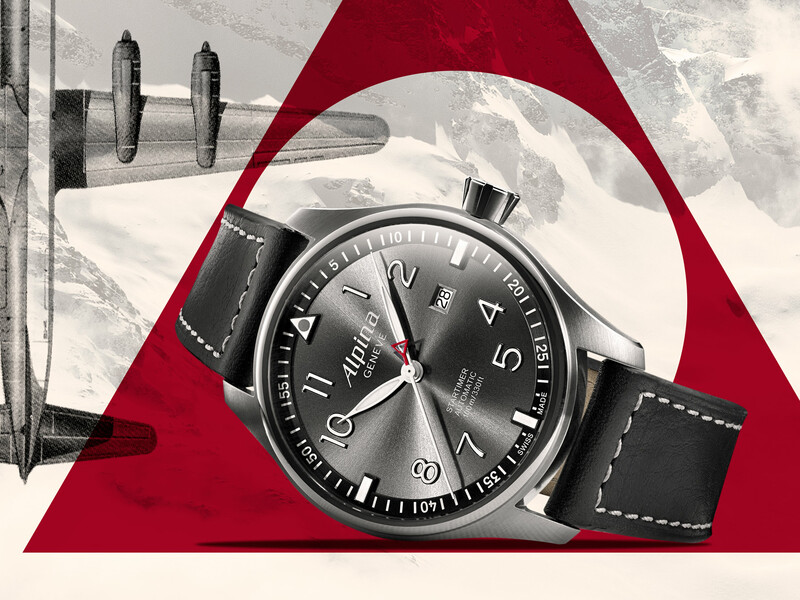 The central second’s hand is adorned with a signature red Alpina-triangle counter-weight.